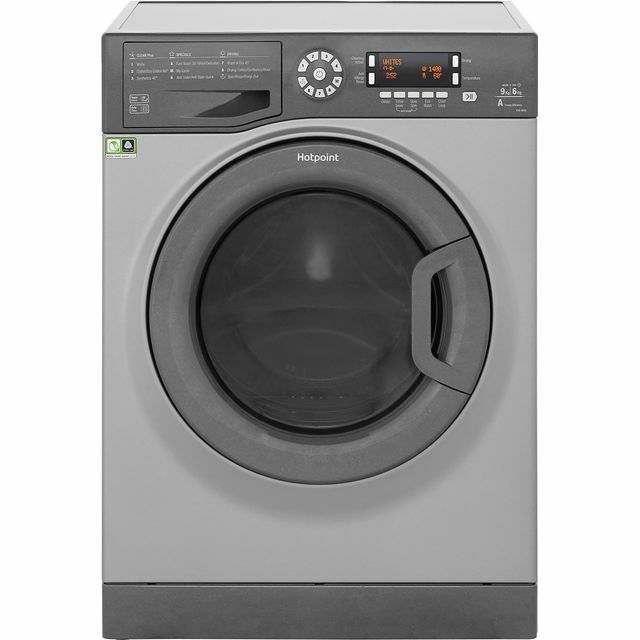 Get amazing results with this graphite Hotpoint washer dryer. With its 9kg drum, it’s ideal for medium-sized households. This model has a handy Anti-Stain programme that leaves clothes spotless. It works by instantly releasing detergent to remove up to 20 everyday stains without pre-soaking. For your favourite jumpers, the certified Woolmark Green programme uses lower spin speeds to carefully wash your woollens, while being water and energy efficient. To avoid over-drying, the Set & Forget feature uses sensors to monitor the moisture in clothes, ending the programme when they’re dry. It then tumbles laundry with cool air to prevent creases. 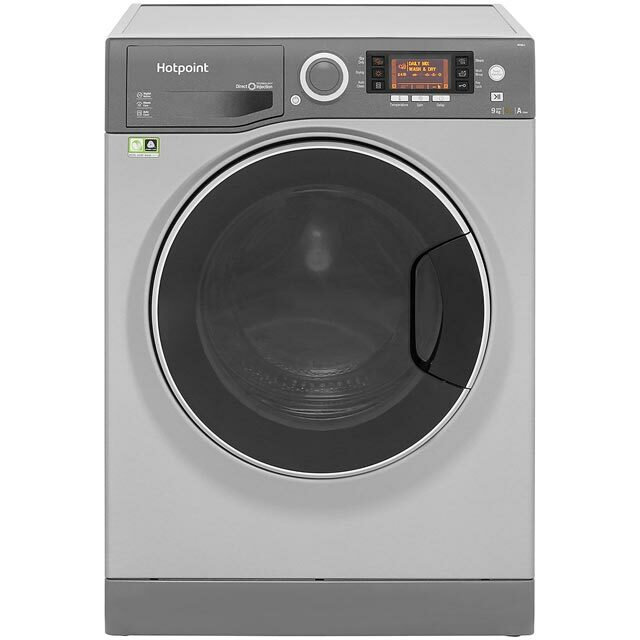 I replaced a washer dryer that was about 10 years old with this Hotpoint one and really notice the difference. It's much quieter, and so far washes and dries clothes as I'd expect. I like the large drum - much easier to load the machine. And the menu of wash and dry options is more than enough for what I need. 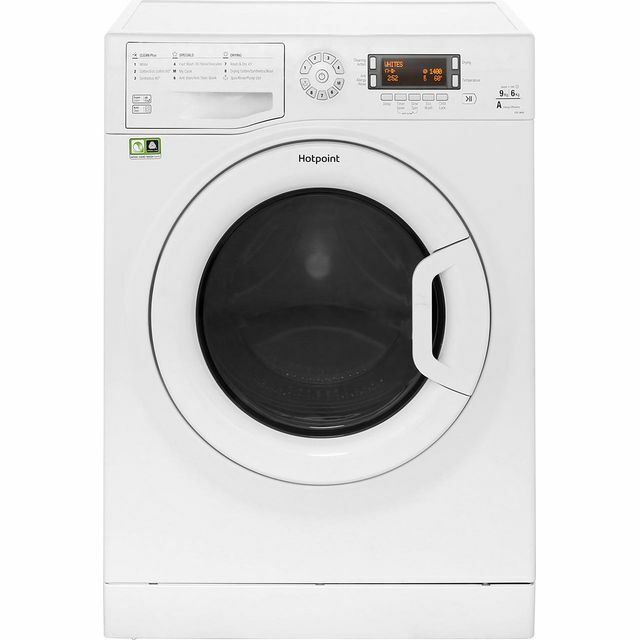 We love our new washer dryer as it’s much quieter then our previous one and has quicker cycles. Our previous one was on its way out so this has been a nice upgrade. 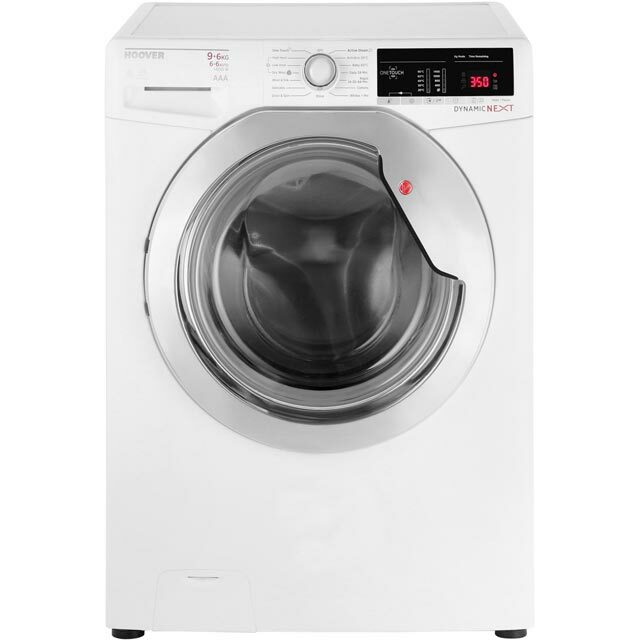 After moving home we needed a new washing machine, we previously had the older model as this never skipped a beat this purchase was a no brainer. Value for money and a great washer dryer. Looks really smart in the kitchen, really quiet when running, drys very well. The various modes and how to operate it are taking a bit of getting used to. I bought this as needed a dryer but didn’t have room for separates. I looked at the reviews which all seemed to be excellent, influencing my decision. However, I am quite disappointed in it. 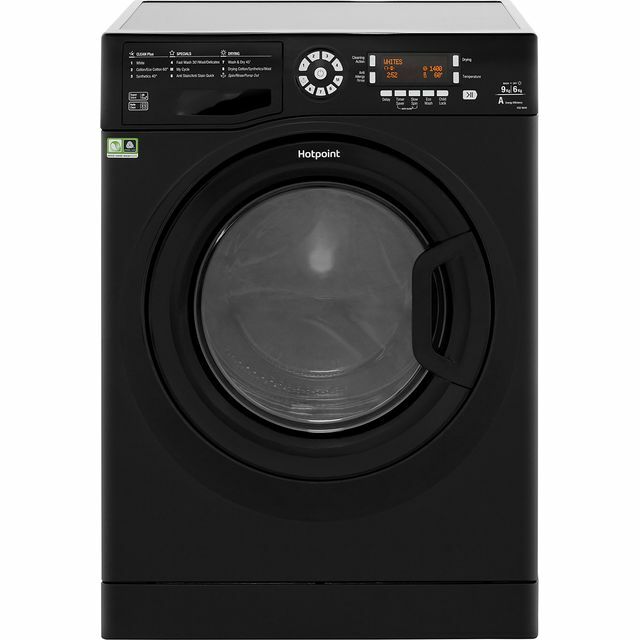 My old Hotpoint washer (2 year old) gave you the option of a 60 degree fast wash taking 1 hour, ideal for my household. This one doesn’t give you that option and should you wish to wash anything on 60 degrees then you are looking at a wash cycle taking the best part of 4 hours!!! Next we have the dryer, again you are looking at it taking hours to dry a handful of items, towels take forever. I’m so disappointed in this appliance as in the past I’ve always had a hotpoint condenser dryer that has taken no time at all to dry clothes, towels etc. The dryer starts off quiet but then makes noises like it’s actually on a wash cycle. It’s over 20 years since I’ve had a washer/dryer so maybe this is normal.